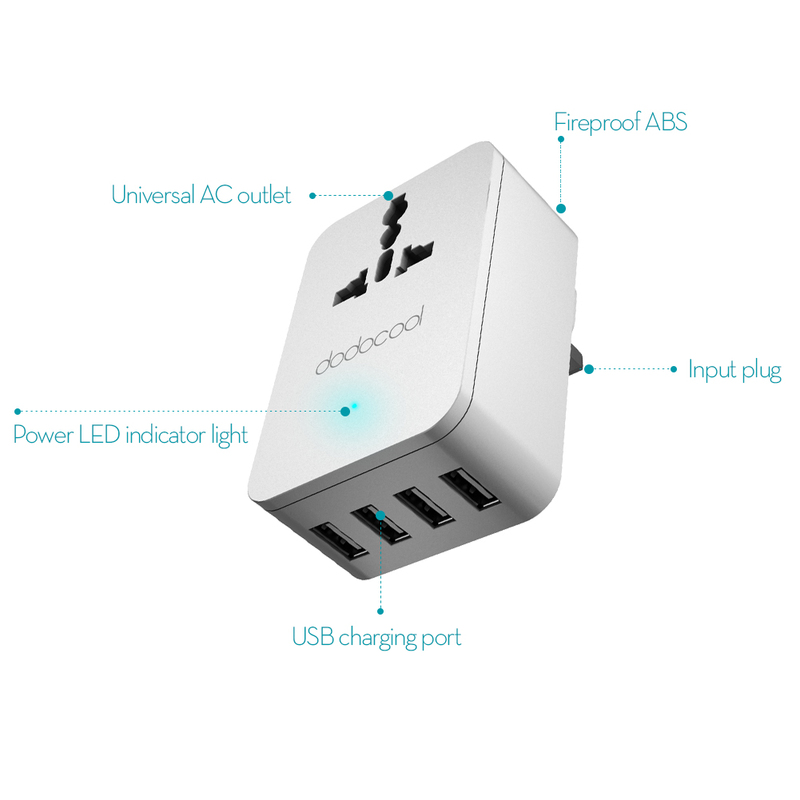 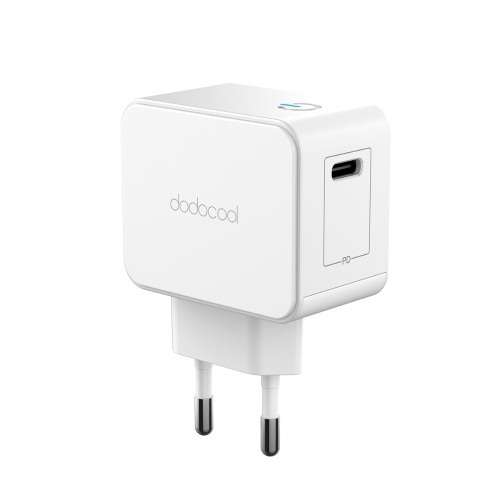 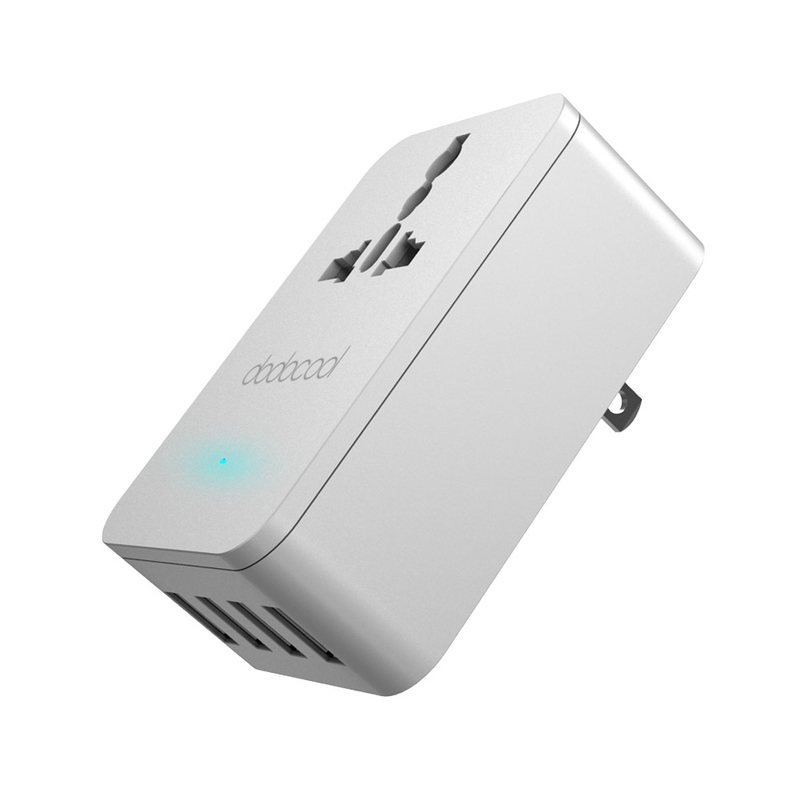 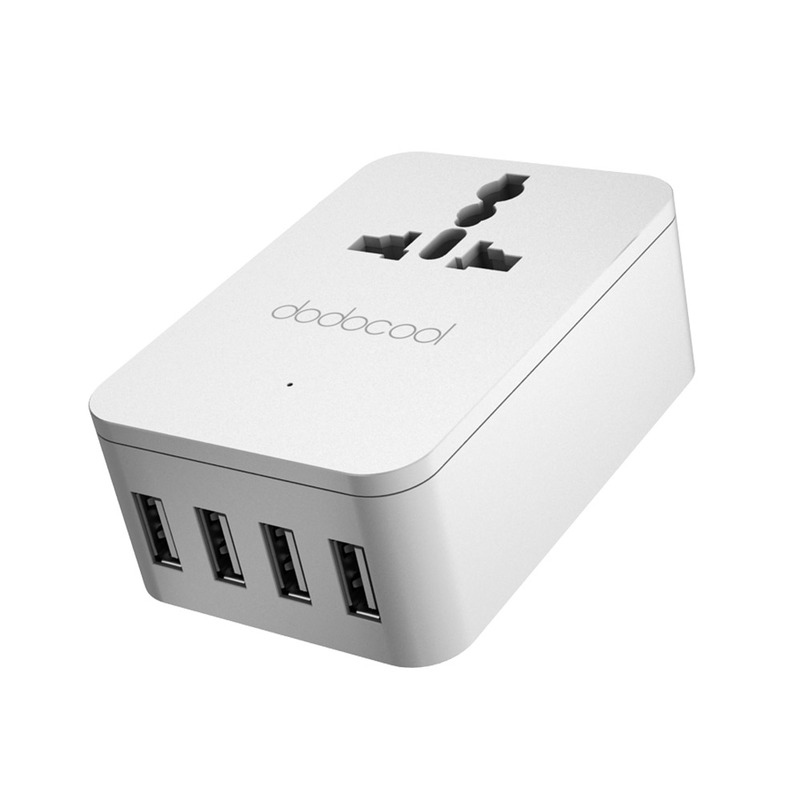 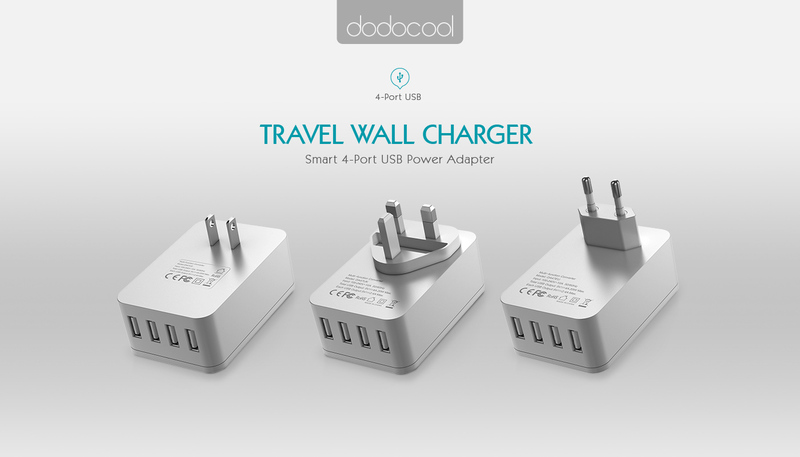 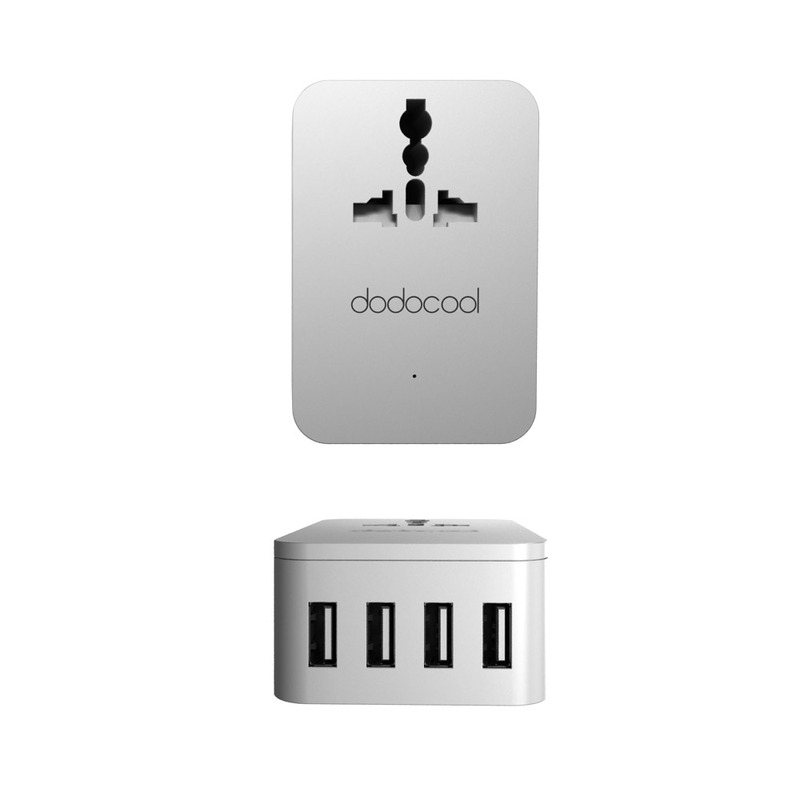 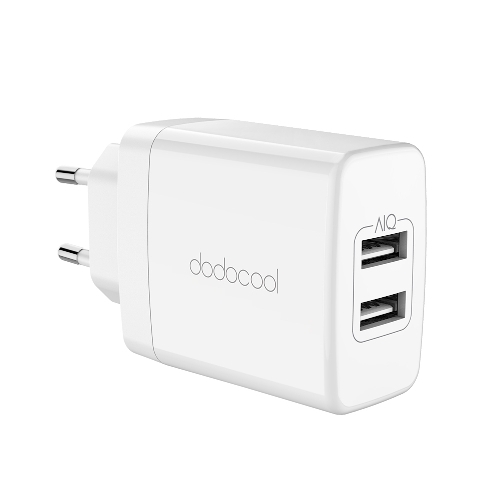 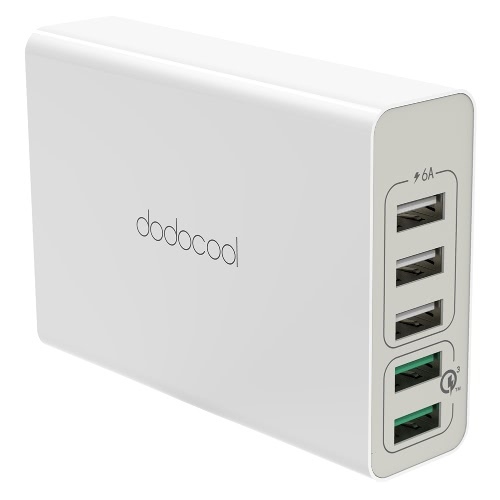 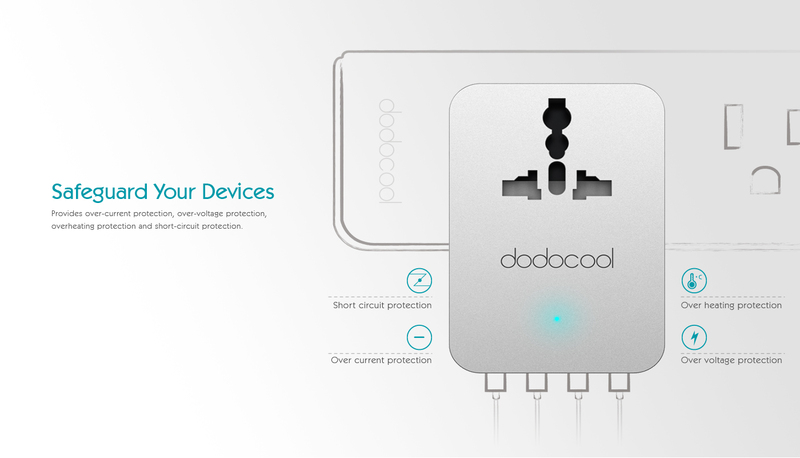 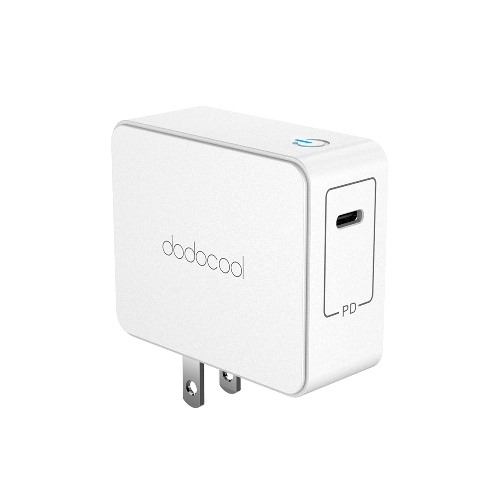 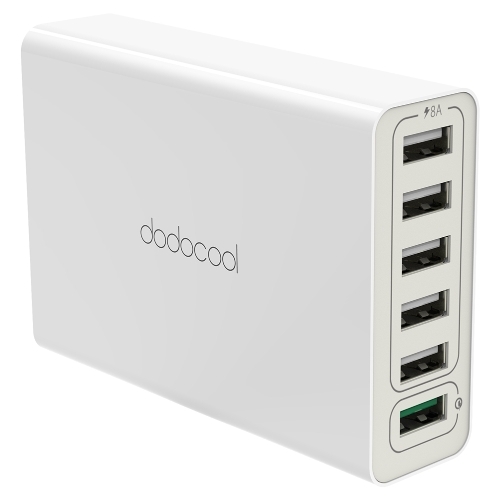 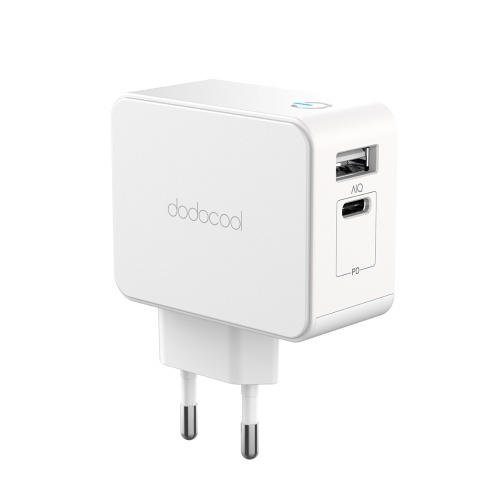 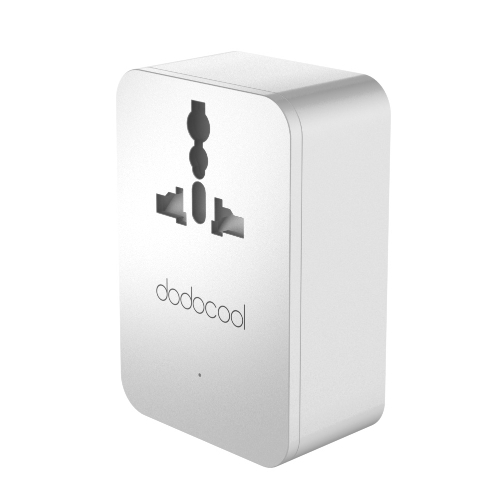 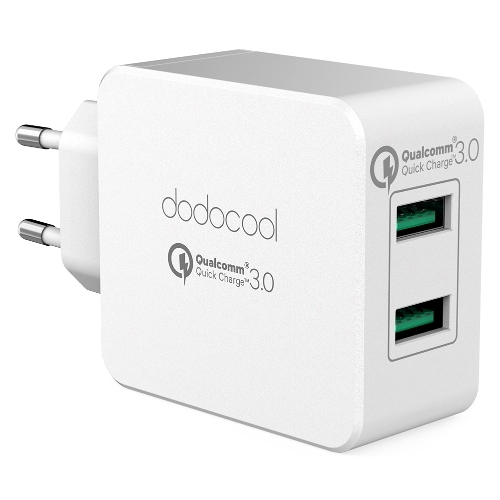 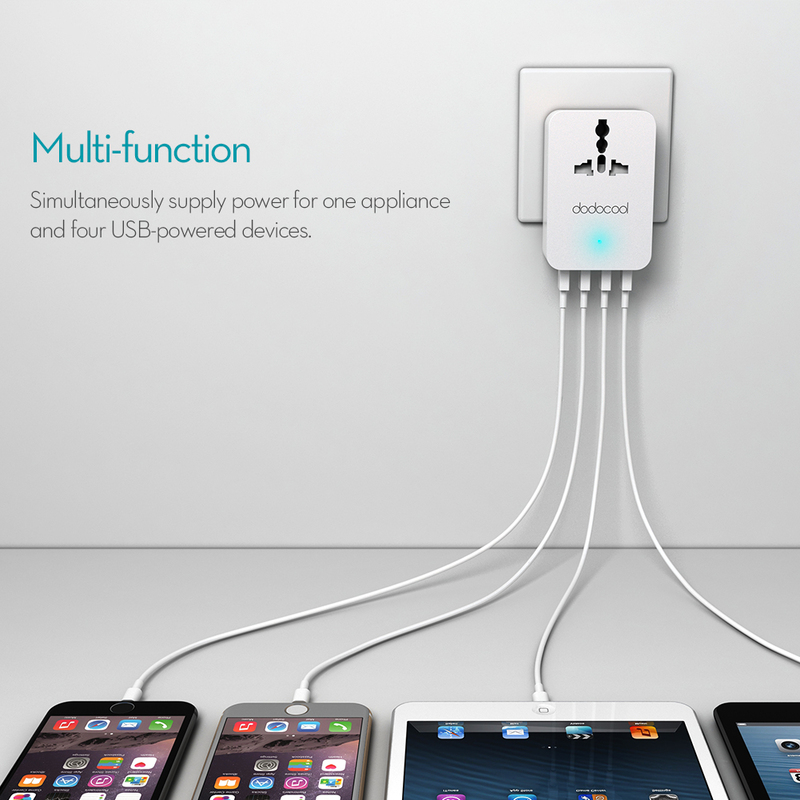 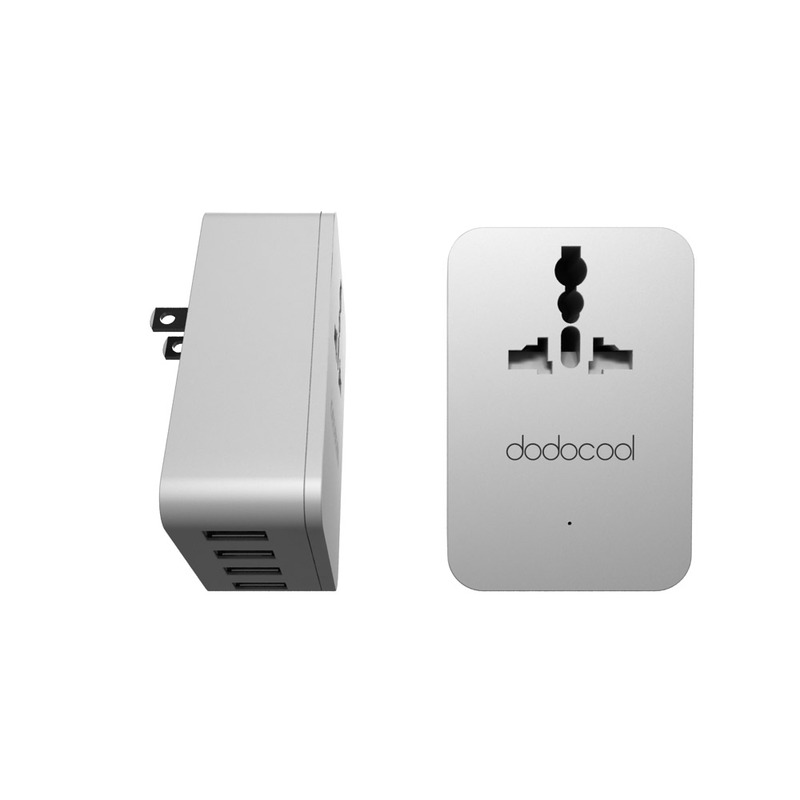 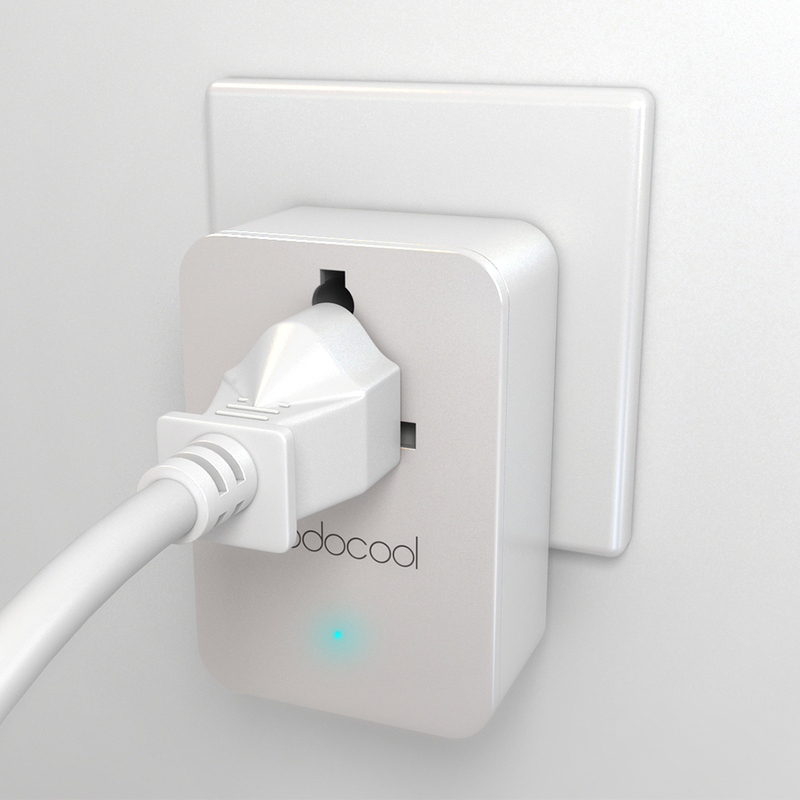 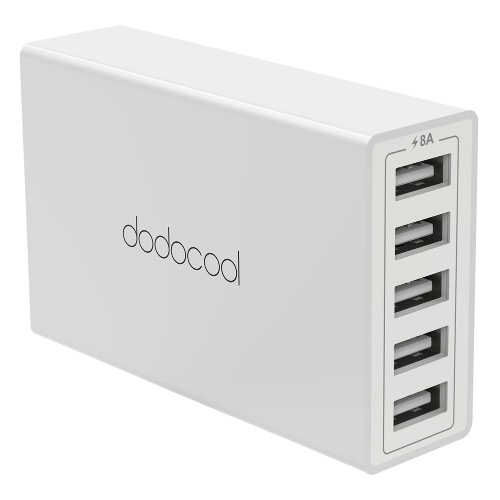 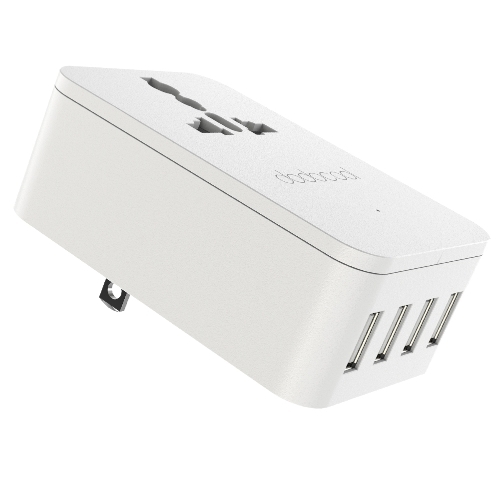 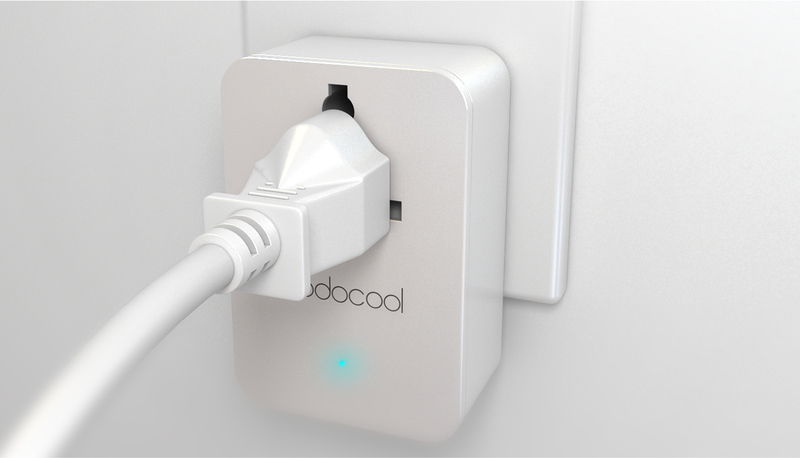 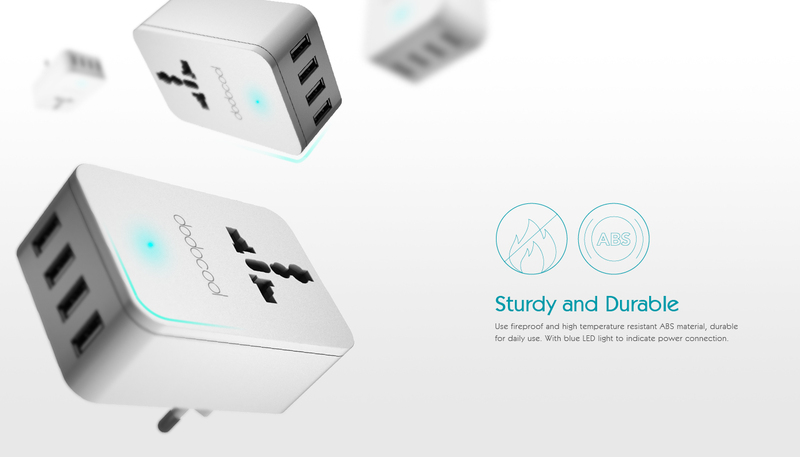 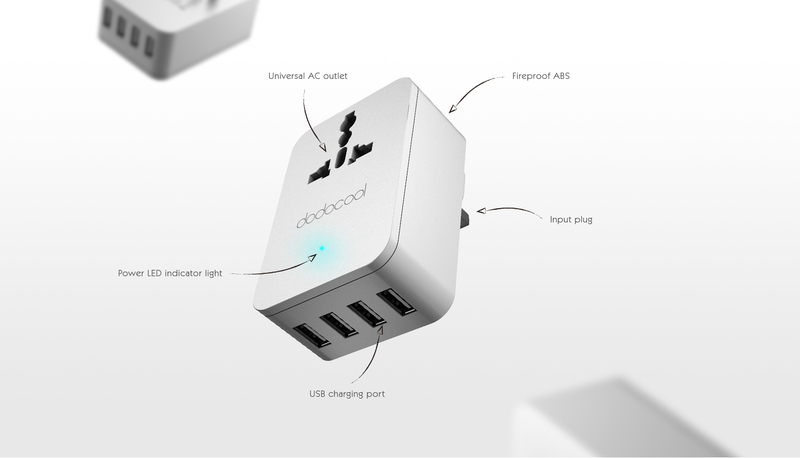 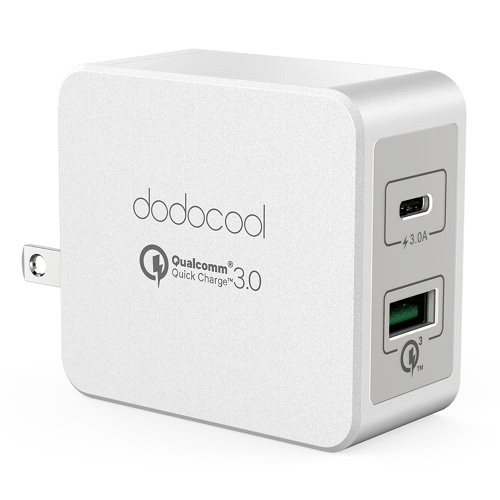 dodocool Smart 4-Port USB Charger with Universal AC Outlet Power Adapter lets you charge four USB devices and one appliance simultaneously. 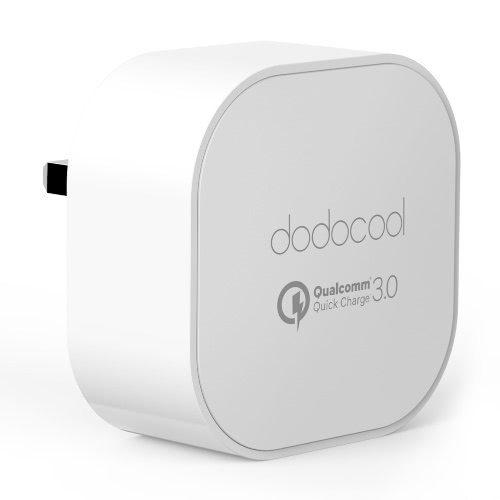 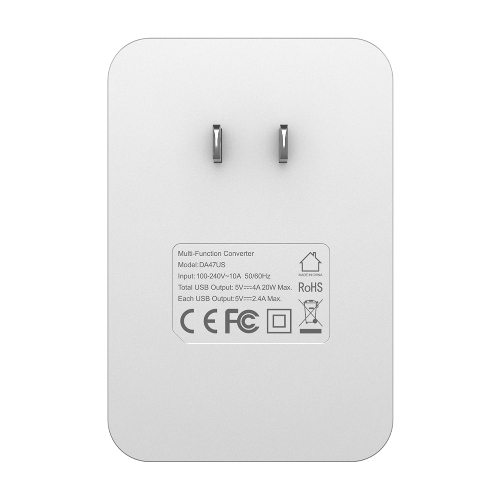 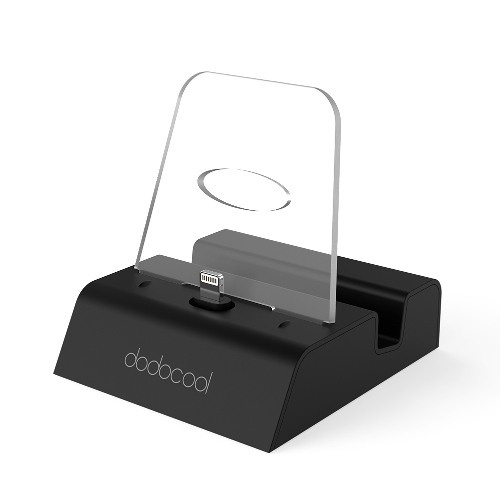 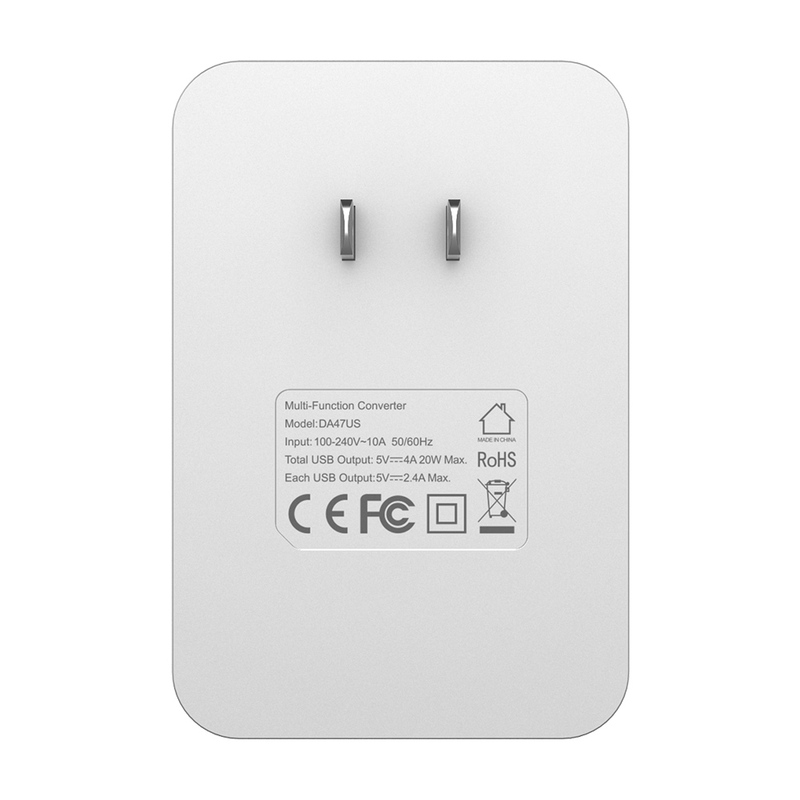 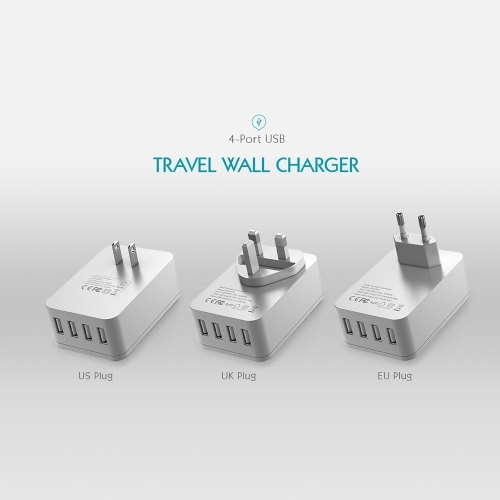 It's the must-have charging solution for home, travel and office use. 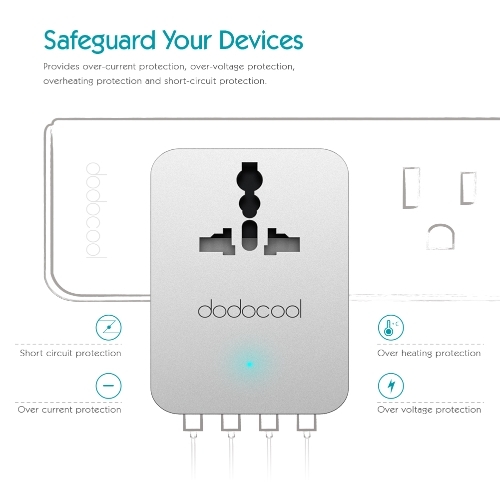 Universal AC outlet and 4 USB charging ports enable you to charge up to one appliance and four USB-powered devices simultaneously. 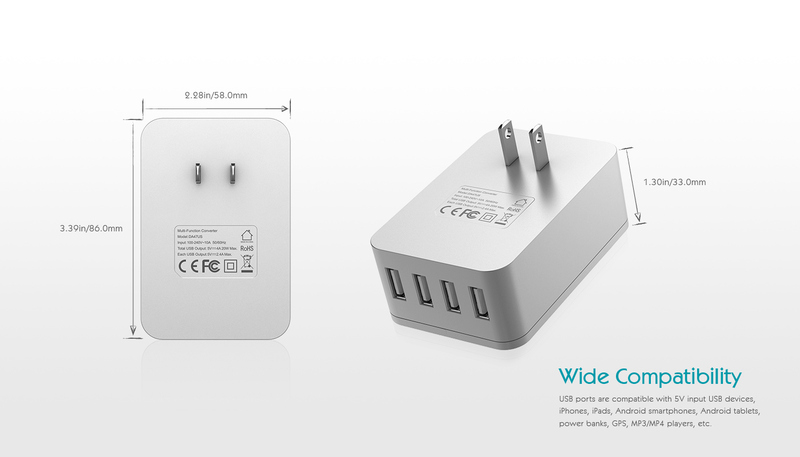 Use fireproof and high temperature resistant ABS material, durable for daily use. 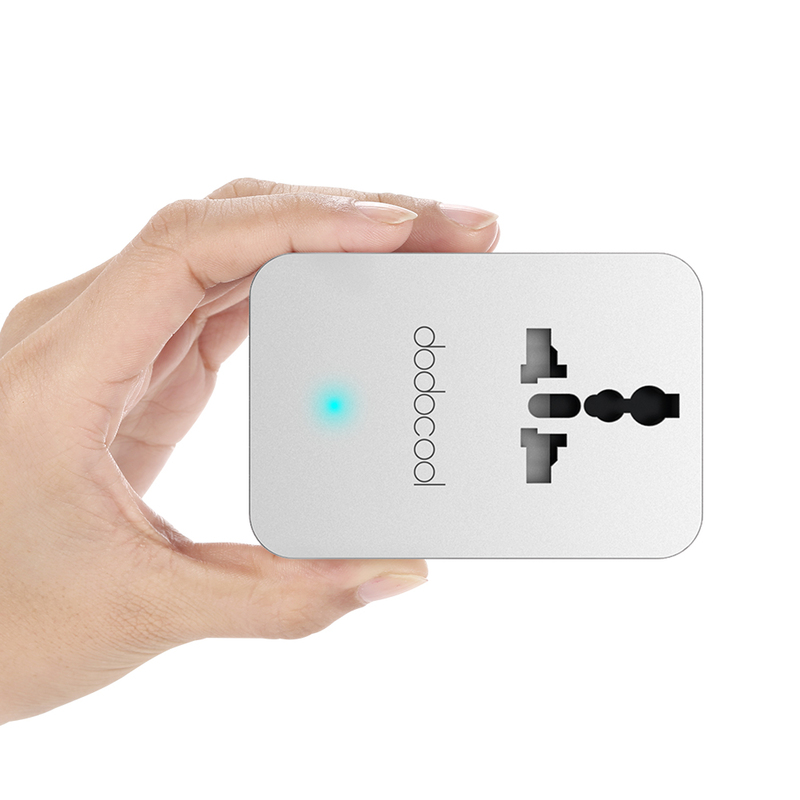 With blue LED light to indicate power connection. Provides over-current protection, over-voltage protection, overheating protection and short-circuit protection. 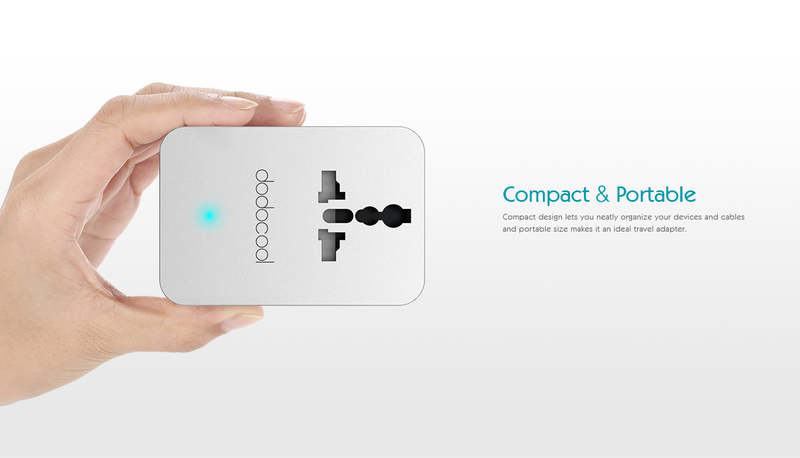 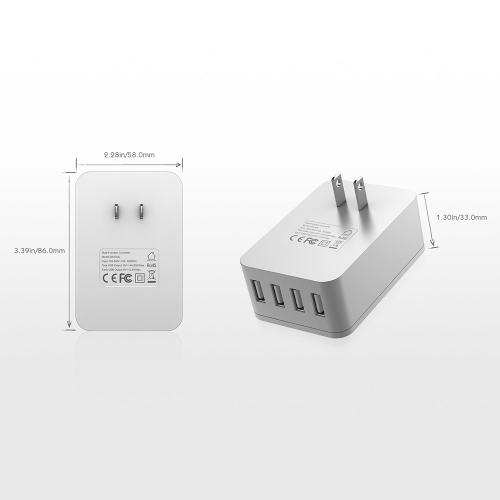 Compact design lets you neatly organize your devices and cables and portable size makes it an ideal travel adapter. 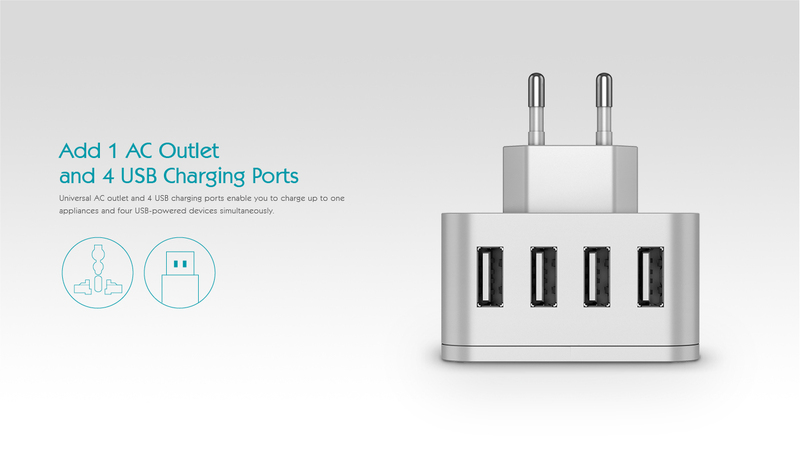 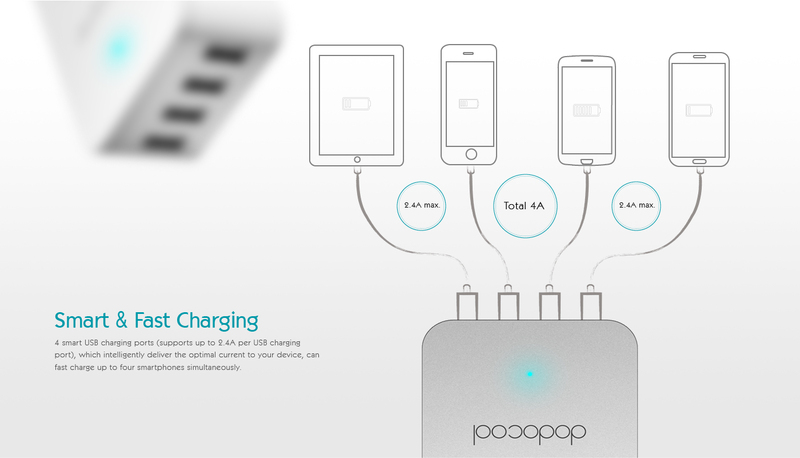 4 smart USB charging ports (supports up to 2.4A per USB charging port), which intelligently deliver the optimal current to your device, can fast charge up to four smartphones simultaneously. 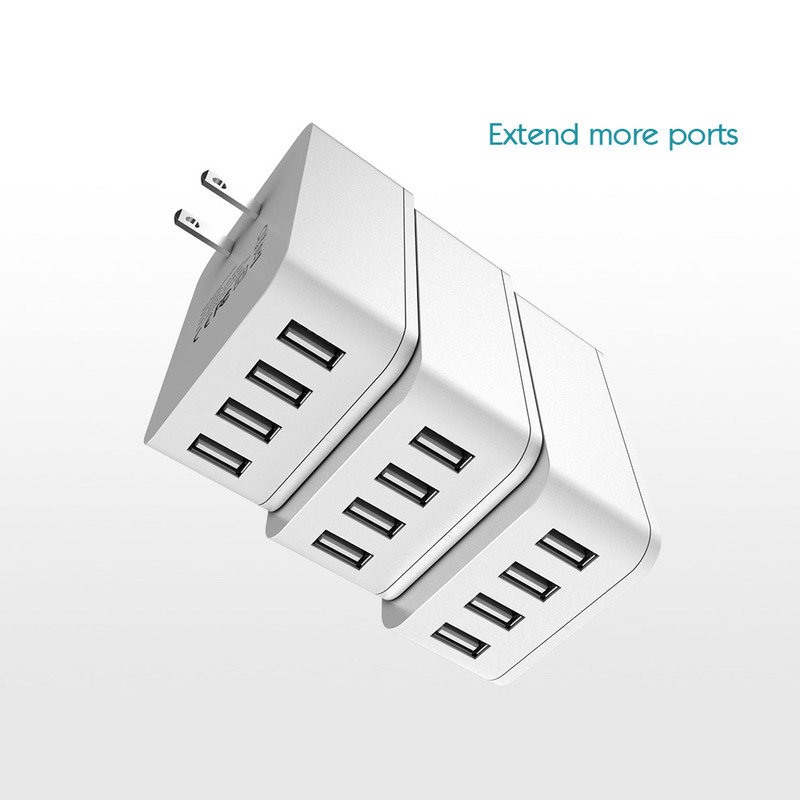 USB ports are compatible with 5V input USB devices, iPhones, iPads, Android smartphones, Android tablets, power banks, GPS, MP3/MP4 players, etc. 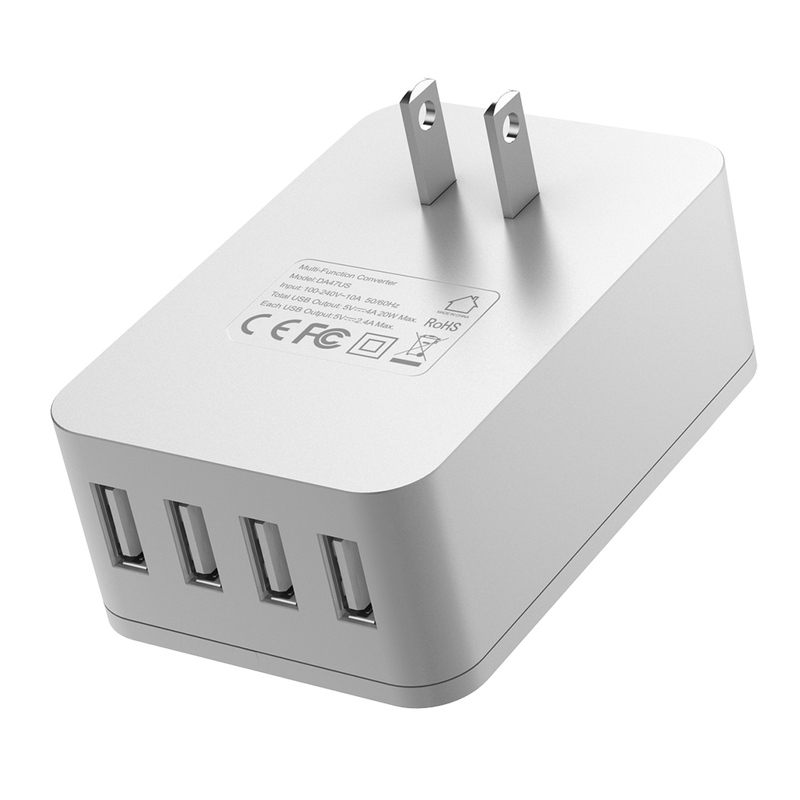 Total USB ports output: 5V 4A 20W Max. 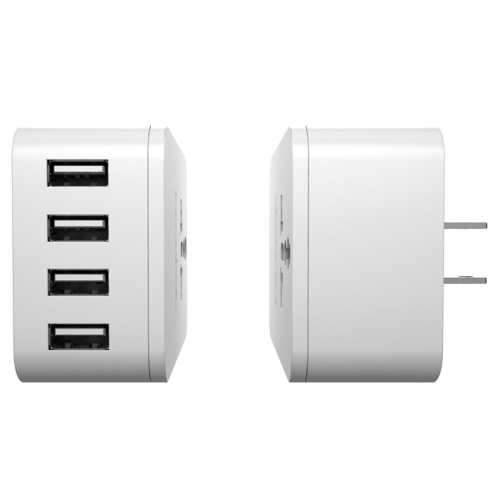 Each USB port output: 5V 2.4A Max.